Sophia FitzOsborne lives with her cousin Veronica, and her younger sister and tomboy Henry on the small island of Montmaray, located in the Bay of Biscay. They, along with Sophia's older brother Toby, are the last descendants of the royal family of Montmaray, and despite their titles, live in near poverty in their crumbling castle. Sophia begins writing about her life and dreams in her journal as war brews in Europe and crises strike the small island. Then, when a small group of Nazis arrive at Montmaray, wanting to see the castle's library, everything changes irrevocably for the FitzOsbornes and their tiny country. A Brief History of Montmaray is simply divine. It is the best imaginable combination of wit, hardship, love, adventure, and history. Sophia is such a genuine and truly likable character, and her clever descriptions of her home and the quirky and unique individuals that inhabit Montmaray are unforgettable. The wry and self-deprecating humor that comes with being poor is endearing, and as much as they struggle, the characters are dignified and strong and completely engrossing. Sophia is a dreamer, and while she loves her home and her family, she can't help but want to see London and experience the balls and parties and dinners her aunt frequently takes part in. She is torn between wanting to leave and loyalty to her home and Veronica, who refuses to abandon Montmaray. The life these orphans live and the history of their island is fascinating and impeccably detailed and researched, making it hard to believe that Montmaray and the FitzOsbornes don't actually exist. The action scenes towards the end are quite harrowing and filled with surprising revelations, making for a suspenseful conclusion. 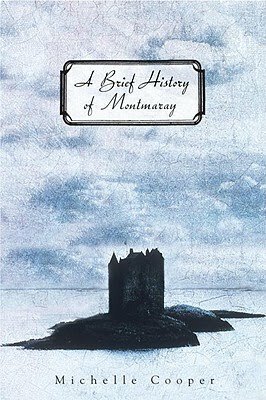 A Brief History of Montmaray is a lovely, unique, and entertaining book in the spirit of Daphne du Maurier, Eva Ibbotson, and Dodie Smith’s I Capture the Castle, and one that will make the rest of the books in your reading pile seem lackluster and boring in comparison. Cover Comments: The cover to this one is not the most striking one, but I really do like it. The drawing is simple and well-done, very appropriate for this historical fiction, and also effective at conveying just how small Montmaray really is. I also love the font that that title is in. I like it much better than the Australian cover. Wow, thanks for the great review! I actually bought this a while ago and now your review just makes me want to read it NOW, heh, but you just make it sound so good. ;) Can't wait to see for myself!